The WordFriends get their share of scares the night before Halloween, when Pig sleep walks and everyone thinks he's a ghost! Sheep is making herself a super special fairy costume to wear for the big Halloween party. But what will she do when her WordFriends need pieces of her costume for their own use? with The Cat, Nick and Sally, Fish and the Things. arrived just in time for this Halloween! to share with the animal friends you will meet! 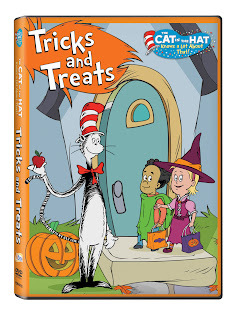 and plenty more fun with The Cat in the Hat! 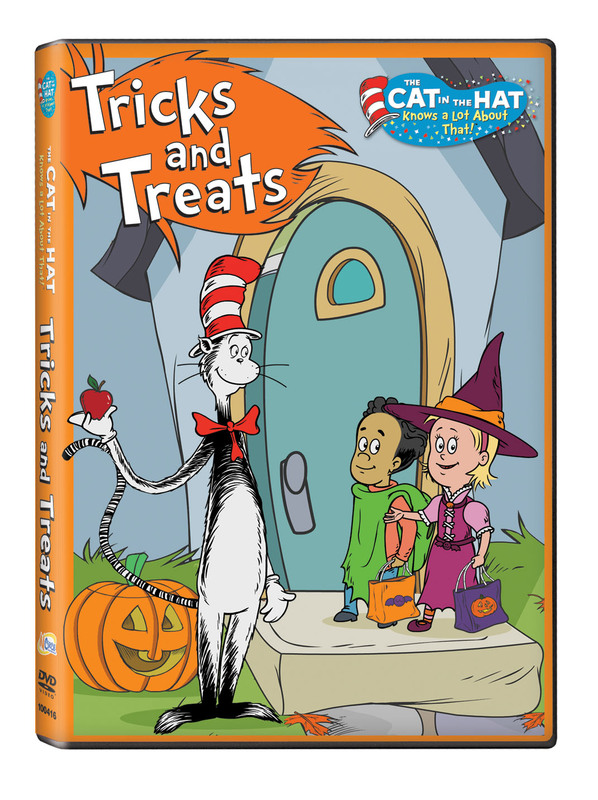 My kids love Word World and Cat in the Hat Knows a Lot About That! so these were an easy sell. I'm always impressed with the objects they make look like words and I always end up learning something from the Cat. :) It's also nice to have some non-scary, pure fun shows to watch for Halloween. The DVDs are approx. 30 minutes long and they are around $6 at many retailers near you or at NCircle Entertainment. -Visit Entertainment That Educates and leave a comment on this post about something you like about it. -Facebook about giveaway - go to Facebook post about giveaway and click "Share"
Giveaway will end Tuesday, October 18th at midnight MST. Winner will be chosen by Random.org. I was given above DVDs to review. No compensation was received. This giveaway is sponsored by NCircle Entertainment. Email addresses will be deleted after giveaway. Your privacy is important. US residents only. That they really educate! 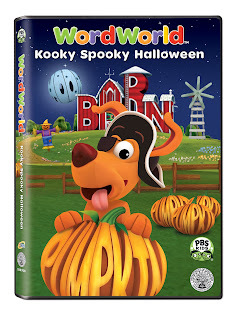 We watch most of these on PBS, and my 4 year old came up to me today and told me that when fruit goes bad and gets all rotten, that's called "decay". She got that from Sid the Science Kid! Thanks for the giveaway, my daughter loves both of these shows! I really like their activity sheets which go with their dvd's. I love the fact that they educate but that my kids love these toooooo!!! Greer_75023@yahoo.com. I love their coloring pages! I like this site is an educational website and that my kids watch most of the videos on PBS. I love that there are activities & fun things for kids of all ages, from Toddlers on up, w/activities & printables to go with the different programs, so you don't have to go out & purchase things (Great for Grandmas!) TY! jody h: I love the dive olly dive coloring pages. So fun! I love all the fun activities they have for kids!! Visited the site. I like that the shows are educational, but anything but boring! I like that they donate to KIDS. I like that the shows are fun but my son is learning something at the same time! Love all the fun activities for little ones! My 4 year old loves World Word so he will love this site!! I like the activity sheets and coloring pages. I love the activity sheets as well. specifically I love the Dive Olly Dive sheets! so fun! I like the organization of the site and the number of quality shows they offer games and activities for. They also frequently link to PBS kids, which is helpful. Great site for kids and that one will keep them busy for a long time. Games, funny pictures, and even educate them while making it fun. Love the matching game. Stimulates the mind. I like the coloring pages on Entertainment That Educates.